Guys would definitely like this place. I am kinda tomboyish at heart myself...so I prettttty like War Memorial of Korea. There are so many tankers, fighter jets, helicopters... to check out. Awesome!! If you don't have time to explore everything..just marvel at the pretty displays outside of the museum. I feel that kinda enough at least for me. 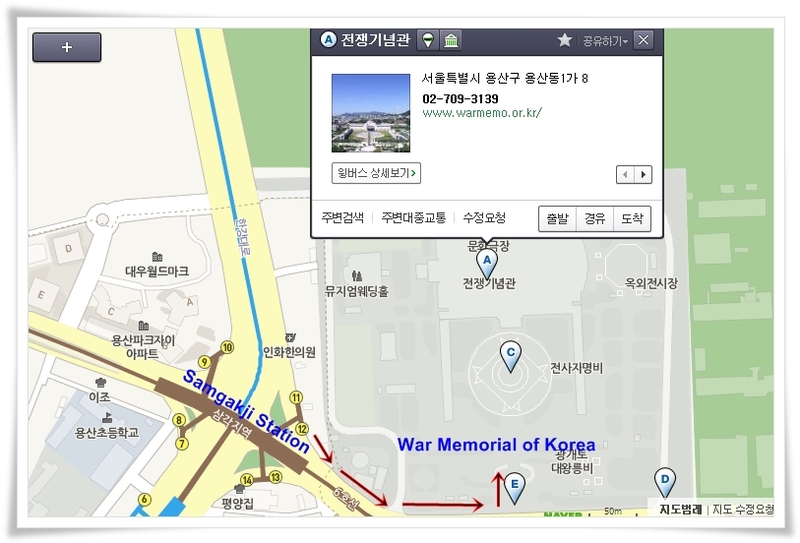 How to go War Memorial of Korea (전쟁기념관)? 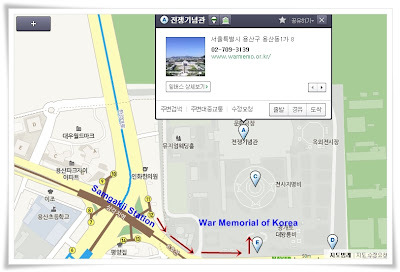 If you are from Itaewon, you can take the blue bus number 421 (the bus stop is near Hamilton Hotel, in the direction towards Noksapyeong) which will stop right in front of War Memorial of Korea. Otherwise you can stop at Samgakji Station, Line 4 or 6, exit 12. Walk about 5 minutes from the exit. More information from KNTO is here.